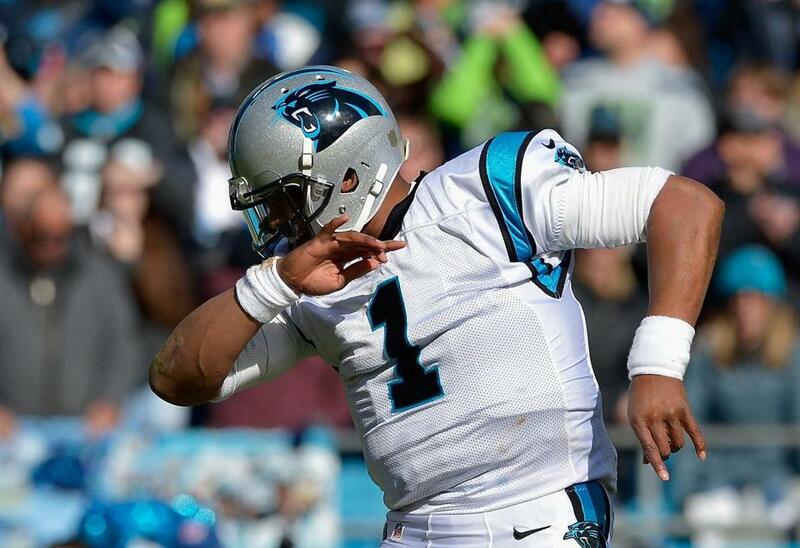 Cam Newton of the Carolina Panthers shows his trademark "dab" during a playoff game last year in Charlotte, N.C. Most online sensations live hard and die fast. The Internet’s attention span is ruthlessly short, and memes are adopted and discarded in weeks, sometimes days. A select few endure, however. They might quiet down or go dormant. But they stay alive, lurking in the corners of Twitter and teen culture. Of this class, the dab is king. What’s the dab, you say? It’s a dance move of sorts in which you stretch out your arms in a demented sort of warrior pose and tuck your head into the crook of your elbow. Ask pretty much any 12 year old in America, and you can see a demonstration. The dab made its latest high-profile appearance yesterday in the nation’s capital at the swearing in ceremony of Representative Roger Marshall of Kansas. 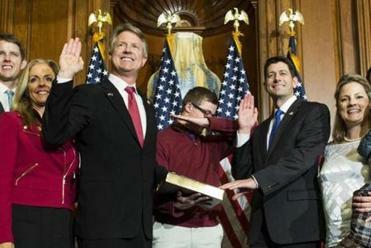 The Republican congressman’s 17-year-old son, Cal, who was present for the event, saw his chance to dab and took it — onstage, in front of the cameras — although his form is mediocre at best. In response to the daring performance, Marshall reportedly grounded the teen. The story of how the dab made it to the white-hot center of popular culture starts in Atlanta. Although its roots are difficult to trace precisely, the move emerged in the first half of 2015 in the Southern hip-hop scene. Several songs were released that prominently featured the dab, with the most famous being “Look at My Dab” by the rap group Migos. Apparently, until this week, Speaker Ryan had not caught on to the trend. But shortly thereafter, the dab found its way into the grips of the dual Grim Reapers of Cool: The middle-aged and middle schoolers. Hillary Clinton busted out the move on “Ellen.” And no one knows how many eighth-grade graduations were marred by Axe-doused adolescents dabbing their way across the stage. For the most part, adults — and much of the country — have ditched the dab at this point, with a few cringe-worthy exceptions, such as this October California Senate debate between a dabbing Loretta Sanchez and Kamala Harris. But like proud torch-bearers, teens are keeping the flame alive at the dawn of 2017. Cal Marshall, the congressman’s son, put it back on center stage Tuesday. Others, meanwhile, promote more of a grassroots dab movement in their homes. Is the dab trendy anymore? Definitively not. Is it cool? Hard no. Like a cockroach, though, it refuses to die, coming into the light every once in a while to let us know it’s still there. Alexander Frandsen can be reached at alexander.frandsen@globe.com.